Machine composed of a rotating plate on which are placed 6 removable molds with 4 to 6 shapes. Many ingredients can be used such as meat, fish, vegetables, fruits and other processed products. 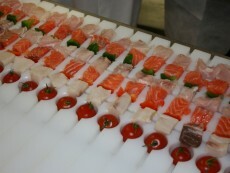 The ingredients are prepared, potentially cut and then manually positioned in a tailored shape. 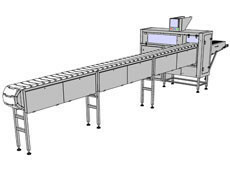 With each rotation of 60 ° of the tray, the machine engages the skewers of a mold, while the operators fill the others. The shape study is personalized: it is specific to your product / machine. 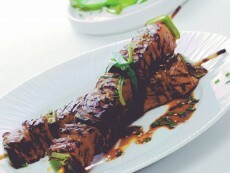 The Kebabs made are identical to the handmade kebabs. 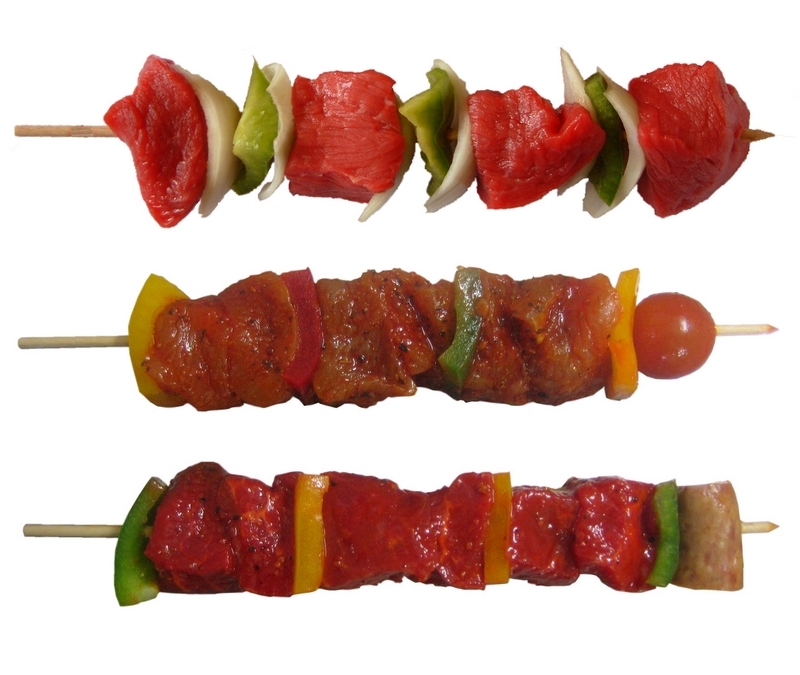 The kebab’s handle is not stained by marinades, thanks to an automatic horizontal skewering. 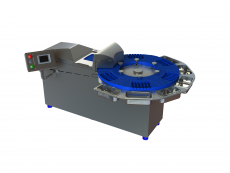 High speed to change molds without tools which allows to switch from one type of kebab or marinade to another very quickly. 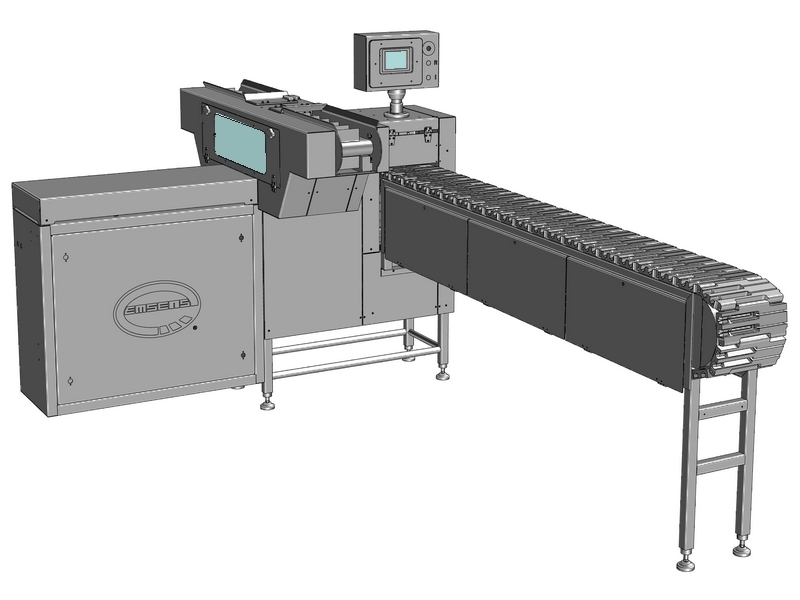 Large configuration diversity: Gunshaped or round skewers, automatic or manual selection. 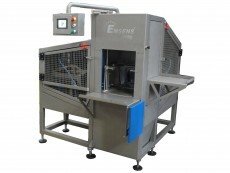 The machine is easy to clean and takes into account the constraints of the food industry (EHEDG member). A touch screen makes the communication easier between the operator and the machine. The touch screen display includes a self-diagnostic system. Maximum production rate of the machine: 800 cycles/hour. 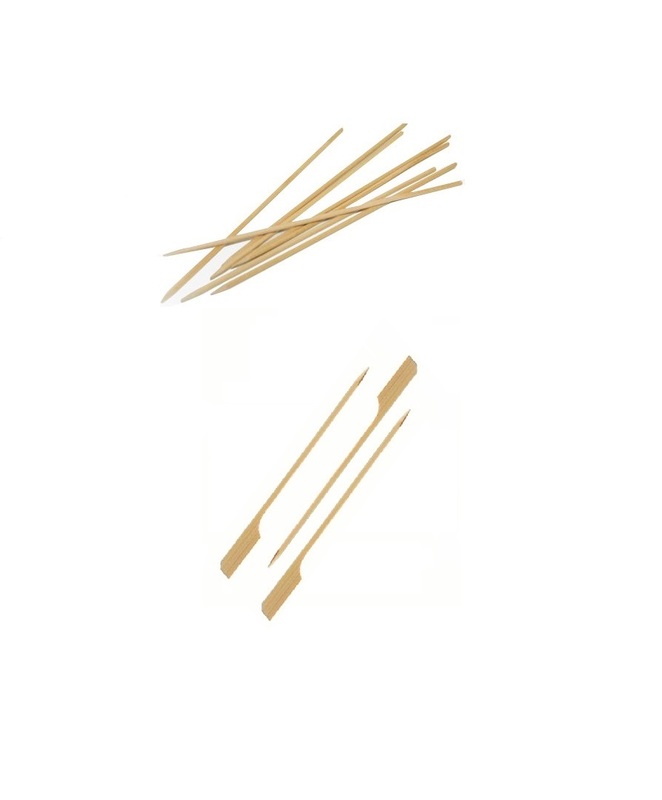 One cycle corresponds to the passage of one mold in front of the skewering unit that allows simultaneously the production of 4 to 6 kebabs. 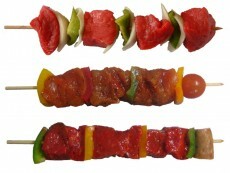 The quantity of shapes / mold depends on the size and complexity of the kebab to produce. Machine which allows the introduction and skewering of various ingredients. 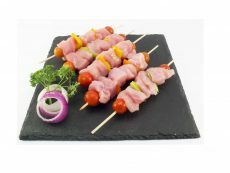 It is possible to skewer a wide range of ingredients including meat, fish, vegetables, fruits and all the other processed products. 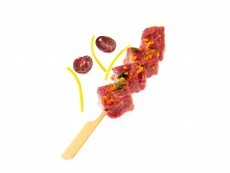 Ingredients are prepared, cut and introduced manually into a mould especially designed for the kebab to be produced. The kebabs produced have a home-made looking. 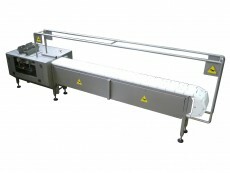 Maximum production rate of the machine : 1200 cycles/hour that is to say 1200 kebabs/hour. 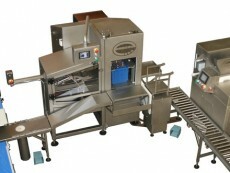 The quantity of staff working on the machine defines the length of the ingredients introduction area. This length may vary according to the complexity of the kebab to be produced and the quantity of ingredients. 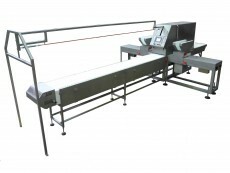 Machine which allows to skewer ingredients onto skewers previously positioned onto a belt. 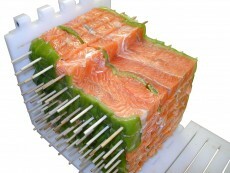 It is possible to skewer many ingredients such as meat, fish, vegetables, fruits and any other processed product. 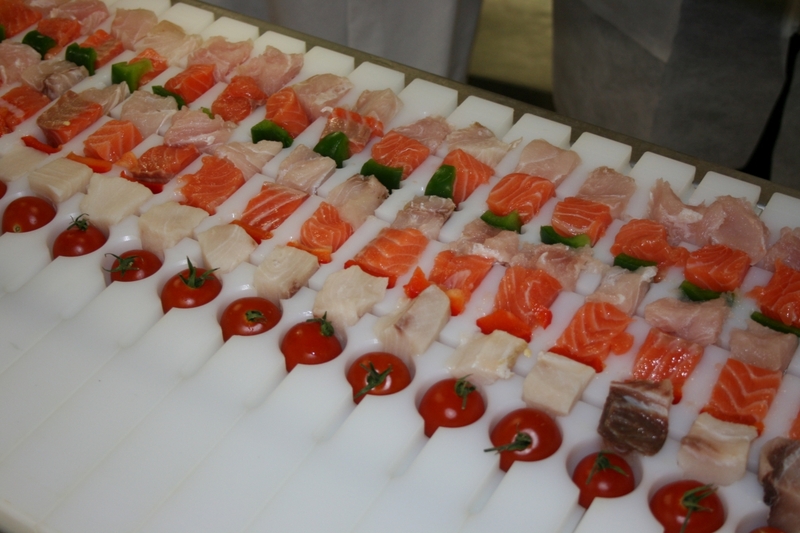 Ingredients are prepared and cut, they are introduced manually onto the skewers. 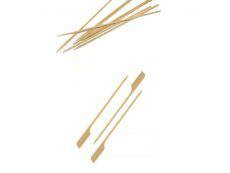 The introduction of round skewers is automatic. Manual systems can be studied for other skewers (stainless steel skewers, flat skewers, gun-shaped skewers….). 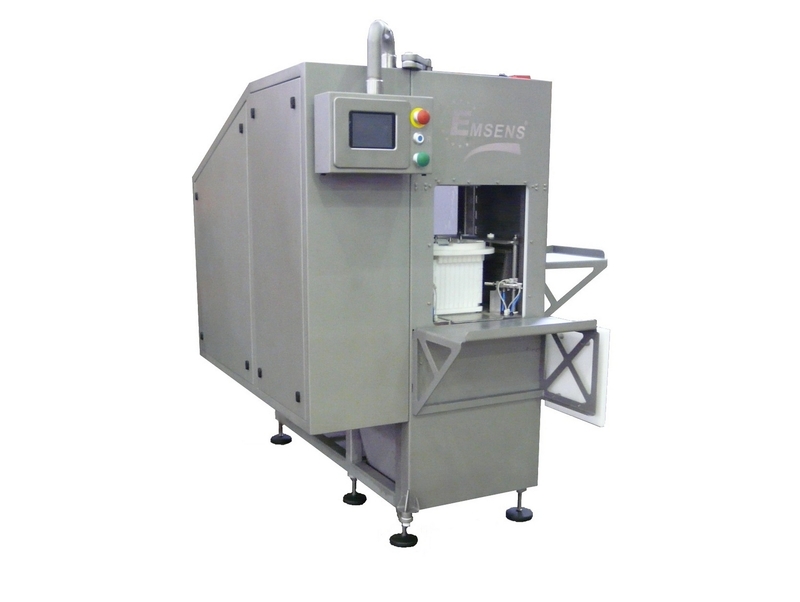 The flexibility of the machine allows the production of a wide range of products. The ejection device of the kebabs is patented, it is soft and allows the production of fragile products. This machine is designed for very high productivities. 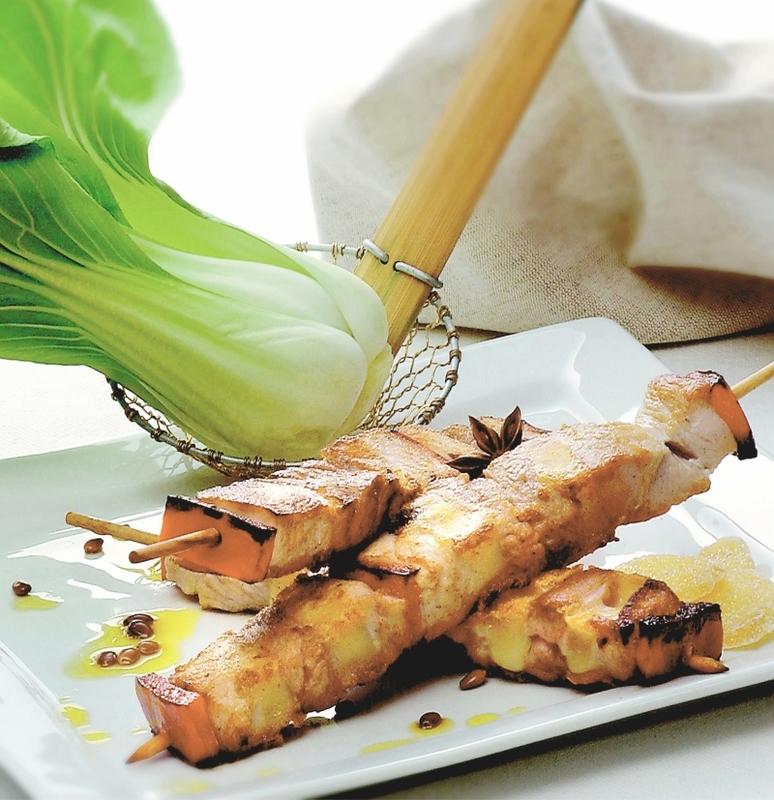 Thanks to its flexibility, it is possible to skewer different kinds of kebabs simultaneously. 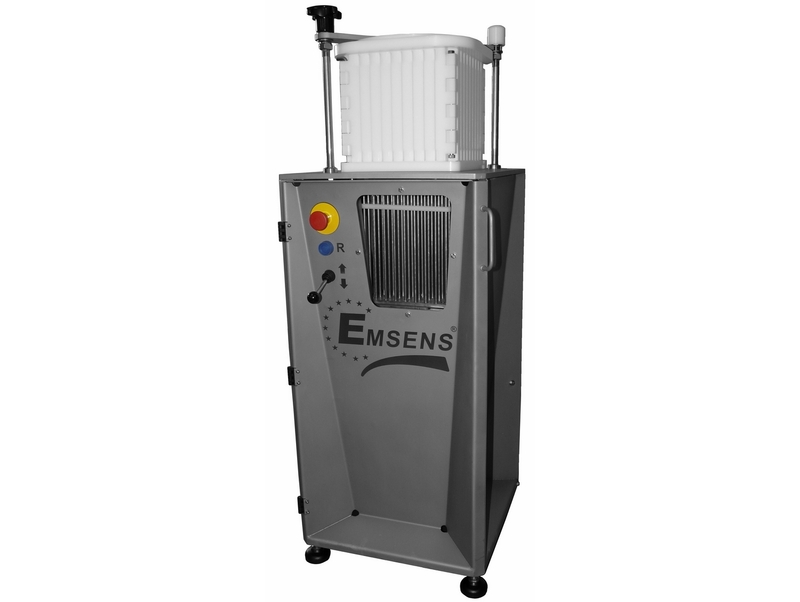 This machine answers to complex projects and requiring top production rates with a high flexibility. The TRADITION EVOLUTION machine is a basic concept, each project is based on a new study answering exactly to the requests of the customer. 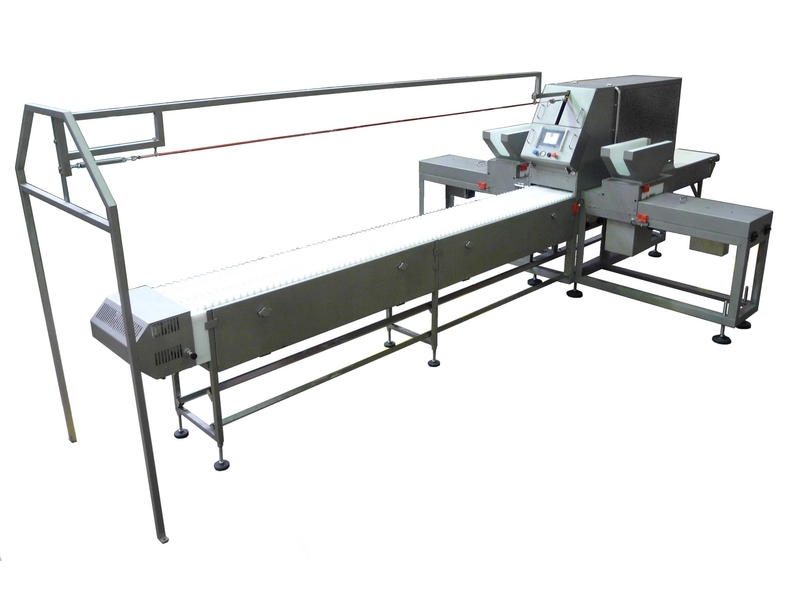 Maximum production rate of the machine : 1000 cycles/hour that is to say 7000 kebabs/hour with 1 skewering head and 14000 kebabs/hour with 2 sekwering heads. The quantity of staff working on the machine defines the length of the ingredients introduction area. This length may vary according to the complexity of the kebab to be produced and the quantity of ingredients. Maximum production rate of the machine : 1200 cycles/hour that is to say 2400 kebabs/hour. 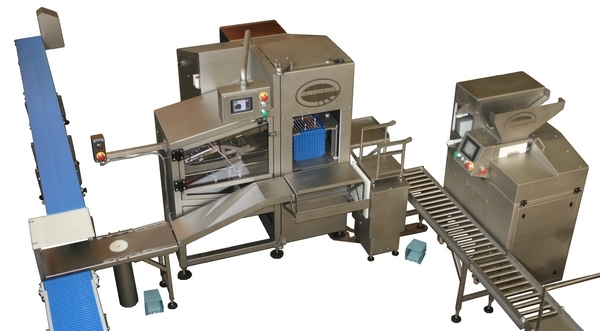 The quantity of staff working on the machine defines the length of the ingredients introduction area. 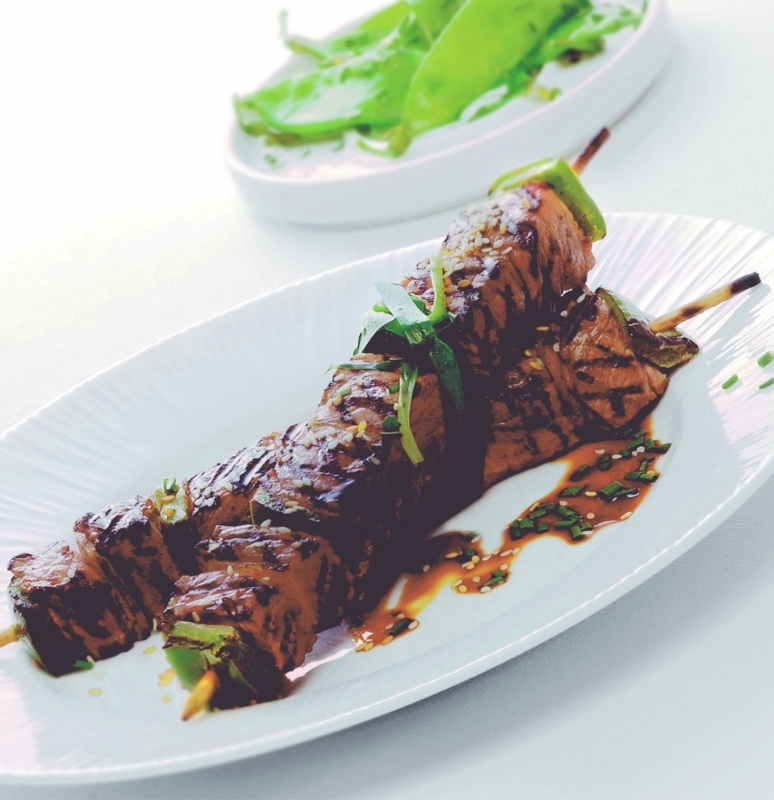 This length may vary according to the complexity of the kebab to be produced and the quantity of ingredients. Machine which allows to skewer ingredients onto skewers previously positioned onto a belt. It is possible to skewer many ingredients such as meat, fish, vegetables, fruits and any other processed product. 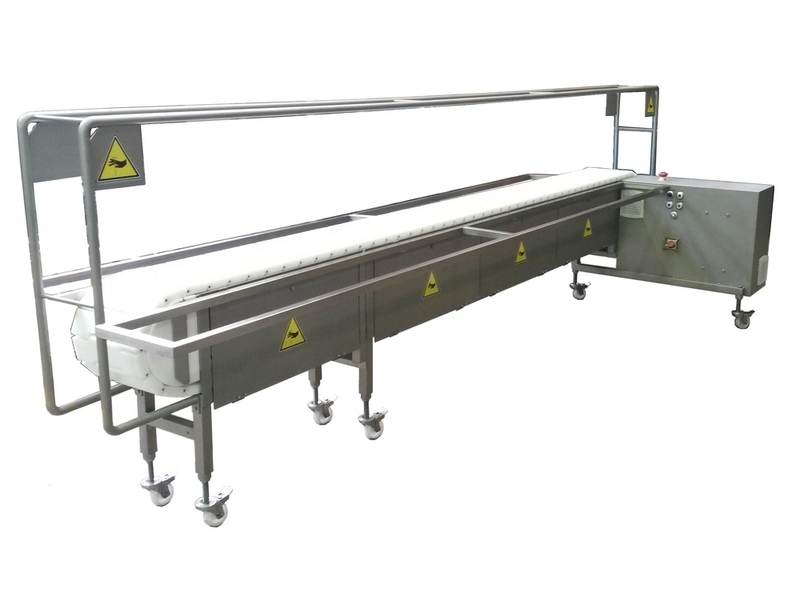 Machine which allows to skewer ingredients onto skewers previously positioned onto a belt. 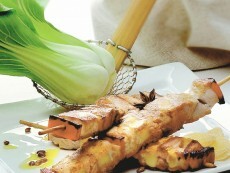 It is possible to skewer many ingredients such as meat, fish, vegetables, fruits and any other processed product. 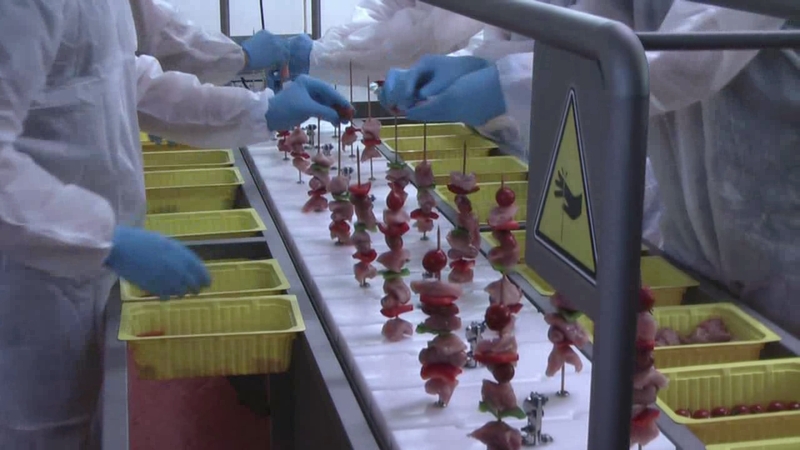 Ingredients are prepared and cut, they are introduced manually onto the skewers. 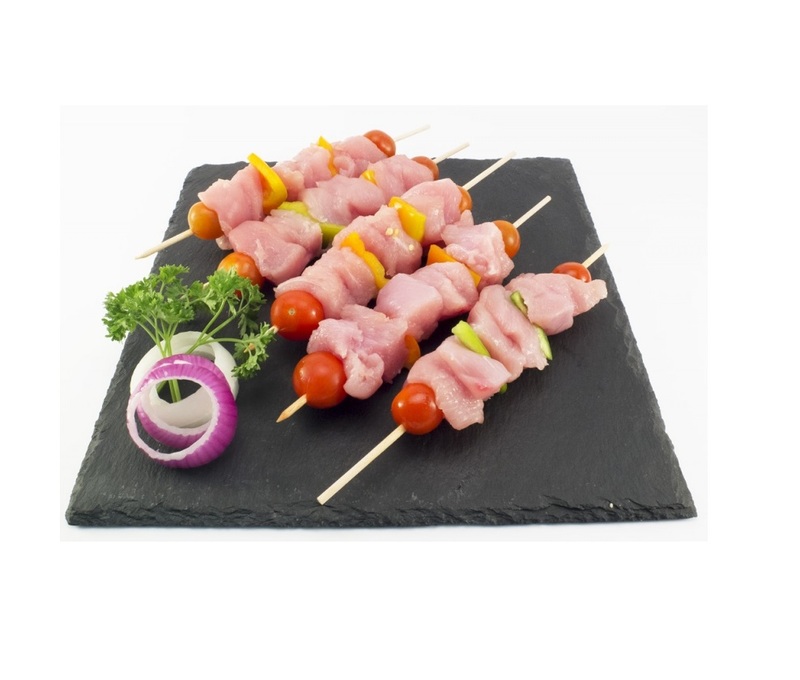 The introduction of round skewers is automatic. Manual systems can be studied for other skewers (stainless steel skewers, flat skewers, gun-shaped skewers….). The kebabs produced have a home-made looking. 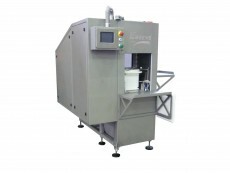 The flexibility of the machine allows the production of a wide range of products. Adjustable speed. Working station to optimize the movements and moving of the operators. 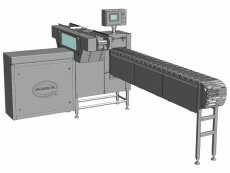 The machine is easy to clean and takes into account the constraints of the food industry.